STDOTC was started in 1975 and is a non-profit making club listed with the Kennel Club. 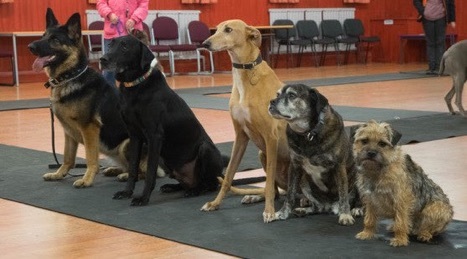 We are run by a small dedicated committee with experienced and qualified dog trainers. We offer group classes etc. All breeds and ages welcome. If you have just got a puppy who has not received all their vaccinations, we welcome you come along with your puppy in your arms and socialise it with us, as we all love a cuddle with a puppy! We train in a large hall with access to a field for training in the summer months, together with a good sized carpark adjacent to hall. Feel free to come and see us at St Francis Church Hall, St Francis Road, Feniscliffe, Blackburn, BB2 2TZ on a Thursday evening from 7:30pm.